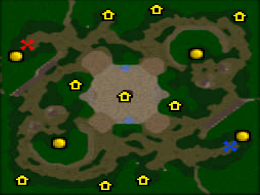 - Goblins Observatory a bit reinforced to orange point. 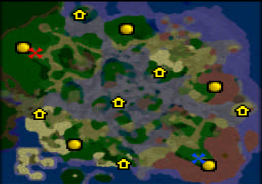 - Goblins Merchants moved close to respawn positions. - Instead Tavern in mid now Fountain of Life and creeps. 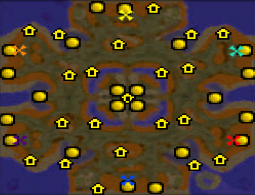 - Added two Portals for jump over creeps on Fountain of Life. 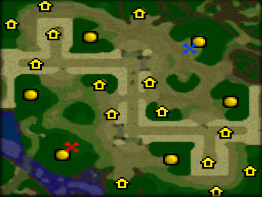 - Taverns added to north and south positions near players respawns. 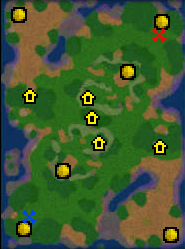 - Market places has now invisible Earth Barriers for no randomly agr of creeps and frontal moved to players respawns side. 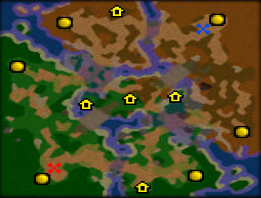 - The Lion Horn of Stormwind now adds 1.5 armor instead 1. 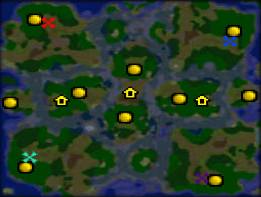 - Minor changes of creeps and drops. 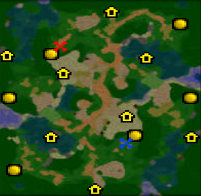 - Creeps on fountain of life now has agrability - 200 (normal) instead 500 (camp). 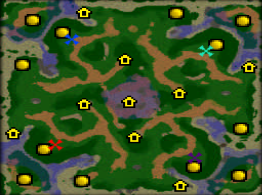 - Reworked some drops and creeps. 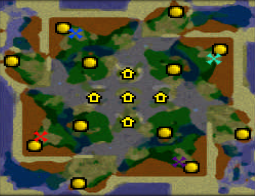 - In center of the map now random building instead Fountain of Life. 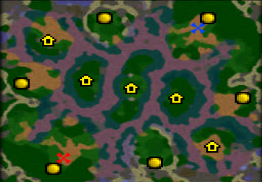 - Aligned relief of map. 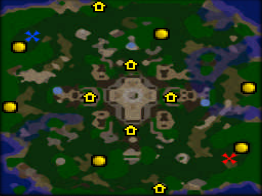 - Fountains of Mana replaced by Mercenary Camp (Lorderon Summer), changed creeps. 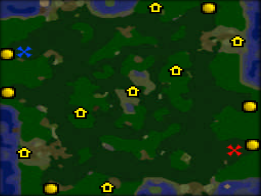 - Instead Mercenary Camp (Town) added Market Place. 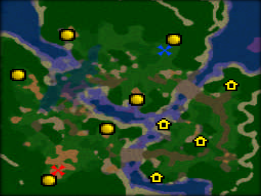 - Quantity of gold in both Gold Mines increased from 12500 to 15000. 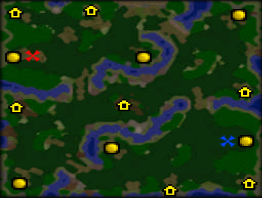 - Added minor green points for both sides of map. 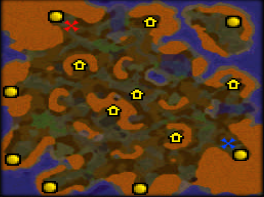 - Creeps on Goblins Merchants reinforced (now orange point). 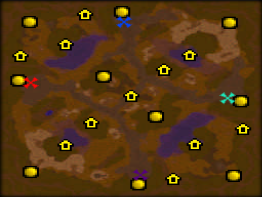 - Agrability of creeps on both Goblins Observatory changed from Normal (500) to Camp (200). 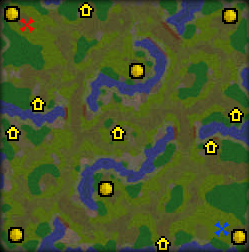 - Improved Gold Mines locations. 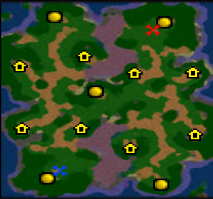 - Starting mana of Forest Troll on Goblins Merchants now is 0. 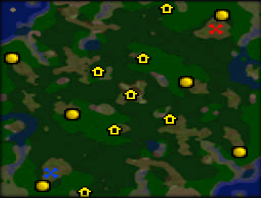 - Added minor green points with Forest Trolls (drop: Broth of rejuvenation). 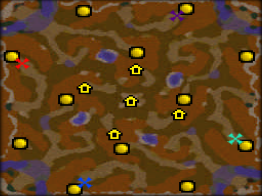 - Added new devices drop on Gold Mines (red points). 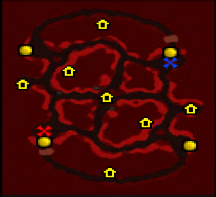 - Goblins Observatory creeps switched, now creeps from observatory moved to corner and composite own red point. 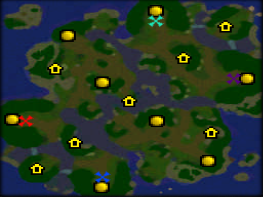 - Goblins Merchants - balanced - added own for ever side. 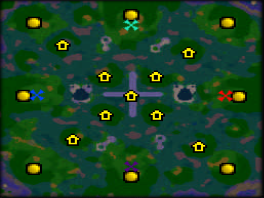 - Added green point in left transition with rarity device drop. 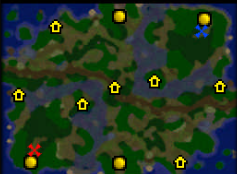 - Route near Goblins Observatory improved for no agroability from creeps. 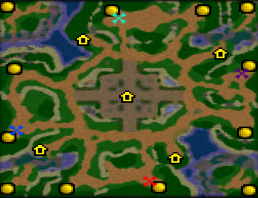 - Device drop from middle green point reinforced. 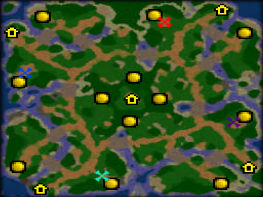 - Agrability of creeps on both Gold Mines changed from Camp (200) to Normal (500). 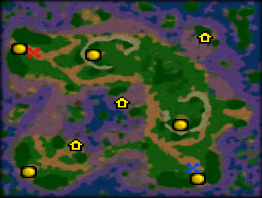 - Gold Mines creeps reinforced. 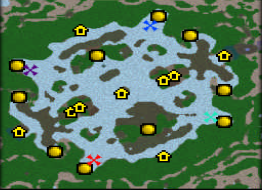 - Quantity of gold in both Gold Mines increased from 12500 to 20000. 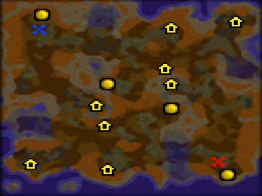 - Goblins Merchants moved frontal to respawns of players. 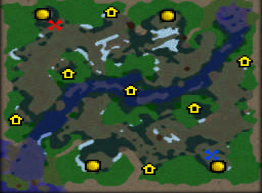 - Creeps on Goblins Observatory and drops changed. 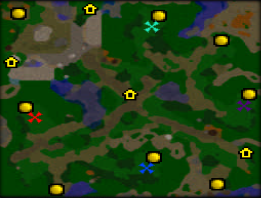 - Creeps near Gold Mines changed (Rock Golem 100% drops Invisible guard). 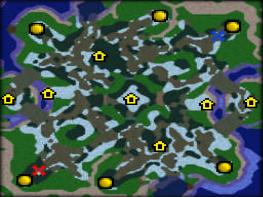 - Drops from red points reinforced. 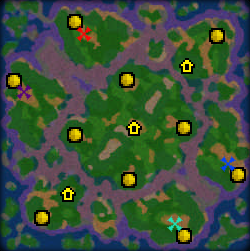 - For both respawns added high ground plato. - Little fixes and improvements. 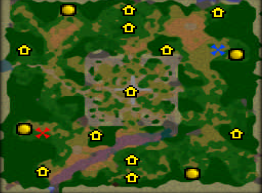 - Orange points near Gold Mines reinforced, device drop reworked. 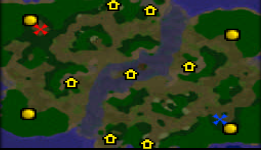 - Goblins Merchants creeps changed. 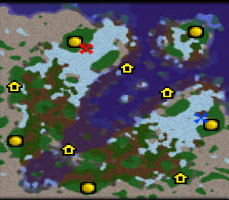 - Redesigned relief of the map. - Weakened creeps on Fountains of Life. 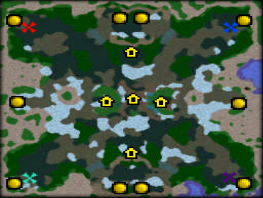 - Reworked mid of the map. 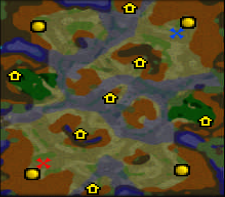 - Fixed Centaur agro bug on upper Gold Mine. 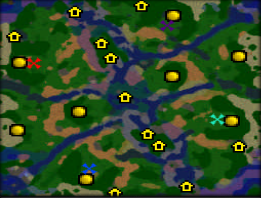 - Agrability of creeps on all Gold Mines changed from Normal (500) to Camp (200). 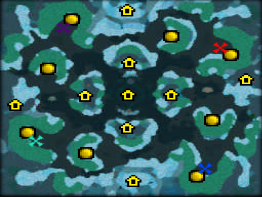 - Starting mana of all creeps now is 0. 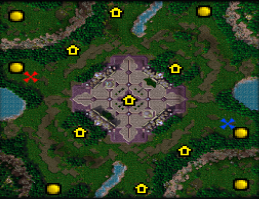 - Added two green points near Portals. 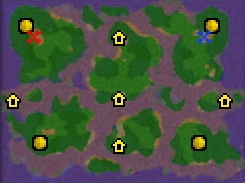 - Reworked respawns and near creeps. 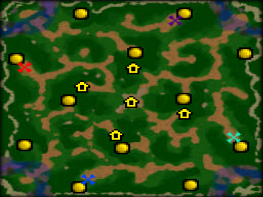 - Reworked creeps on Mercenary Camp. 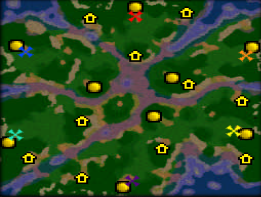 - Goblin Merchant moved frontly to Gold Mines. - In upper and bottom Gold Mines, gold quantity increased to 13,500. 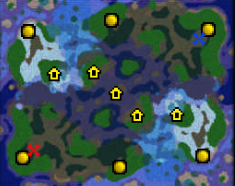 - Turtles (orange point) near respawns moved from deep water to shallow water. 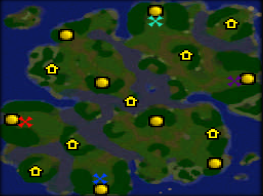 - Goblins Merchants and Observatories minor moved. 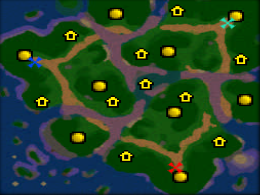 - Green points near respawns switched. 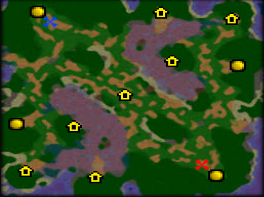 - Creeps on upper right and bottom left Gold Mines reinforced to the red point. 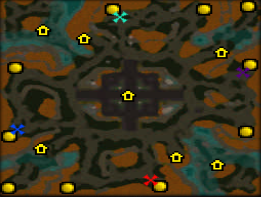 - Weakened creeps on Goblin Observatory. 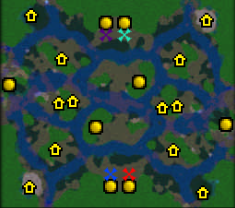 - Reinforced green point creeps near respawns, added drop device. 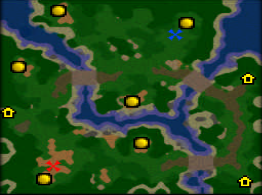 - Creeps on outsides Gold Mines reinforced. 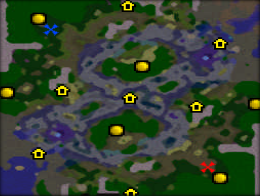 - Quantity of gold in outsides Gold Mines increased from 12500 to 15000. 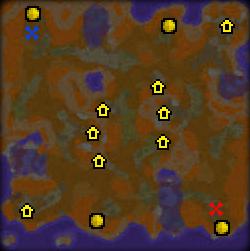 - Improved moving near main gold mines (now units follow beside creeps without agring). 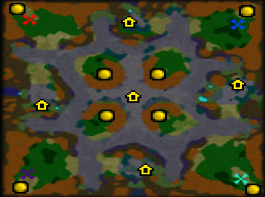 - Reworked some creeps and drops on orange and green points. 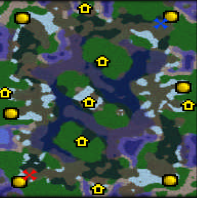 - Spiders (green point) in the mid of map moved for no agrobilty to near running units.